Arduino enthusiasts looking for a project to keep them busy for the next few weekends might be interested in this awesome Arduino photo gun which has been created using a few Game Boy accessories including a Game Boy thermal printer. 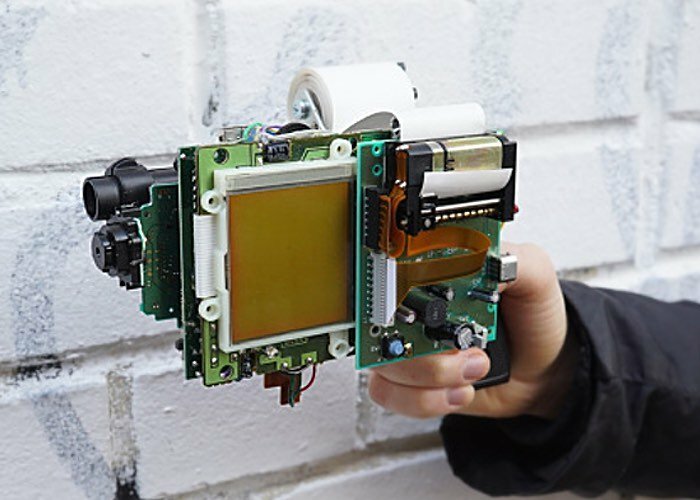 Created by Russian media artist Dmitry Morozov the gbg-8 Game Boy photo gun is capable of shooting and printing instant photographs in retro style blocky 8-bit images in Polaroid style prints. The “gbg-8” combines Nintendo’s classic pea soup green original Game Boy with an Arduino, a camera, optical relays, batteries, and a thermal printer into one funky, photo firearm. After scaring subjects into a portrait-ready pose by pointing a gun at them, photographers pull the trigger and take the snapshot. The device then immediately prints out the beautifully blocky 8-bit picture.